Today, I want to take a few minutes and educate you about Send Out Cards. This is a network marketing company specializing in greeting cards and gifts. Although I am in no way affiliated with the company, I have a tremendous amount of respect for the company. I believe they are one of the better companies in our industry. Send Out Cards was founded in 2003 by Kody Bateman. It is located in Salt Lake City, Utah. The company specializes in greeting cards and gifts. Since 2003, the company has sent out more than 100 million cards. You can create your own customized cards with a few mouse clicks, and then Send Out Cards prints and mails your card for you. There are currently over 60,000 distributors in the company. Like any other network marketing company, distributors get paid to help the company move its products and services in the marketplace. Independent distributors are responsible for helping Send out Cards find new customers and distributors. You can earn bonuses and residual commissions with Send Out Cards. Here are some of the ways that you can get paid. There is also a lucrative infinity bonus for leaders. Here are five good reasons to join this company. 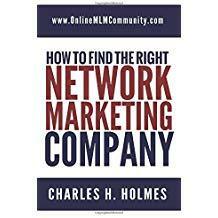 There are many different niches within the network marketing industry. To the best of my knowledge, Send Out Cards is completely different from every other company, and every other niche. They don’t specialize in overpriced lotions, potions and pills. Instead, they offer greeting cards, something most people purchase at one point or another each year. And the best part is that the cards are personalized, high quality, and easy to create. Send Out Cards is one of the ONLY network marketing companies I’ve found that offers a quality product that is approximately the same price as their non-network marketing competitor’s products. Chew on that for a moment. Most network marketing products are 5, 10 or even 20 times more expensive than something you would find at a local discount store. The company offers personalized greeting cards, not a generic style card you would buy at Wal-Mart or The Dollar Store. Best of all, these cards are priced very fairly. You can get started with Send Out Cards for less than $500 as a distributor! As a customer it’s about $30 per month. Compare that with opening a greeting card store or starting a traditional type of greeting card business, and you will see this company offers a great deal. You won’t need a building, employees, inventory or any of the traditional overhead that most greeting card businesses have. Greeting Cards have market appeal. Most people send greeting cards on a regular basis. No, not everyone does, but most people do. Greeting cards appeal to the masses. This is very important for repeat orders and finding potential customers and affiliates. Send Out Cards offers a great community and training program for its distributors. There are regional events, annual convention, online events and much more. If you need training it is available. All you have to do is seek it out. Where can you find leads for your Send Out Cards business? I’d like to take a moment and share some good “target markets” for you to focus on. Small business owners are a great source of leads for your Send Out Cards business. All small businesses have customers and leads, and they probably need a better way to stay in touch with their customers and prospects on a regular basis. If you can set appointments with small business owners and show them how Send Out Cards can help them convert more of their leads to customers, and increase customer retention, there’s no doubt in my mind that many of these entrepreneurs will purchase your service or join your team as a distributor. Make sure you focus on the simplicity, ease of use, and value of the back office. Show them what’s in it for them. Professionals are great prospects for your business. This could include doctors, lawyers, accountants, real estate agents, insurance agents, bankers, etc. Think about any professional with a decent sized customer base, and this service would allow them to stay in touch with their customers on complete auto-pilot. With Send Out Cards, you could focus on recruiting other network marketers as your customer or potentially a distributor. Just like the small business owner, most network marketers have a team of distributors or customers that they need to communicate with on a regular basis. Show them how Send Out Cards can save them time and money doing that and you will have no problem getting people to join your team as a customer or distributor. Any time you get a handwritten note or greeting card in the mail you have a potential prospect. Anyone who took the time to purchase a card or make one from scratch is a great Send Out Cards prospect. Chances are they send cards to many different people each month and would love a way to create unique, personalized greeting cards. Ask them if they are open to an easier and simpler way to send greeting cards and set an appointment with them to show them the plan and explain the product line. People with large families are great Send Out Cards prospects. If you know someone with lots of children or grandchildren they might be the perfect prospect for your business. If they have a big family, there will be plenty of birthday cards, holiday cards, Easter cards, and much more. They would be a prime candidate for your business. If you can show them to how to save time and money by leveraging Send Out Cards, they will gladly lend you a listening ear and sit down with you to learn more. Churches are another great source of leads. You could talk to the pastor or someone in charge of attendance about what you have to offer the church. Chances are they are already sending out lots of cards and notes in the mail each month. If Send Out Cards is a cheaper alternative, or makes things easier for them, they might just sign up as a customer or distributor. If possible, sign up the church as a distributor, so they can earn an extra income for the church. Success in this business is not rocket science. Here are a few simple tips you can follow to build a successful business. Be your own best customer and use the service whenever possible. Attend all training and events. Plug in to your upline and team’s system. Talk to new prospects every single day. Create a daily mode of operation that you can follow each day. Spend all of your “work” time on income producing activities: retailing and recruiting. Use the service to stay in touch with all of your own prospects. Create a two to five-year plan for your business. Work on your personal development every single day. Act as if you have one million dollars invested in your business. Always show your prospect what’s in it for them. Keep recruiting personally until you have FIVE serious people, and then keep recruiting even more. Take the long-term view in your business. Create a team culture that people are happy to be part of. You only need a few key leaders to build a big team. Treat everyone you talk to with respect and integrity. Thanks for reading my Send Out Cards review. What did I miss? If you’ve spent any time with the company as a customer or distributor, I would love to hear from you. What do you like most about the company? What has your experience been like? What makes Send Out Cards stand out for you? Leave a comment below to share your thoughts. You can visit the company’s website here.